Supermag AR-GE creates new business and application areas through the demonstration of creative effort as well as the development of the knowledge gained in the systematic work carried out with the scientific and technical information infrastructure. Solutions made by Supermag AR-GE are produced in order to obtain more efficient and less costly products firstly. In addition, it is aimed to create areas that can be led on the market by works on products that have not been produced yet. Ultimately, while the limited resources available are best assessed and the necessary investments are made for the future with the continuous transformation of these resources, the products and ideas acquired in this process are protected by patents to be received. 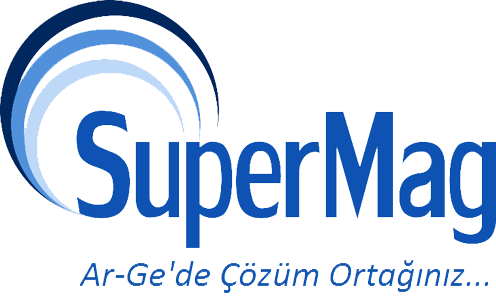 Within the scope of AR-GE surveys, Supermag is mainly concentrated in three main branches. Basic research: Studies aimed at acquiring new knowledge with the knowledge and experience gained by the theoretical or experimental studies without specific orientation towards a specific application or usage area. Applied research: These studies are aimed at producing new knowledge that is unique to a specific application. The main goal in this research is to be able to obtain practical and practical results directly and to provide practical solutions to use this knowledge in practice. Experimental development: To produce knowledge, new materials, products and projects from research and experience; to create new processes and systems, or to develop projects that are already produced or created, and to systematically improve them to a large extent.